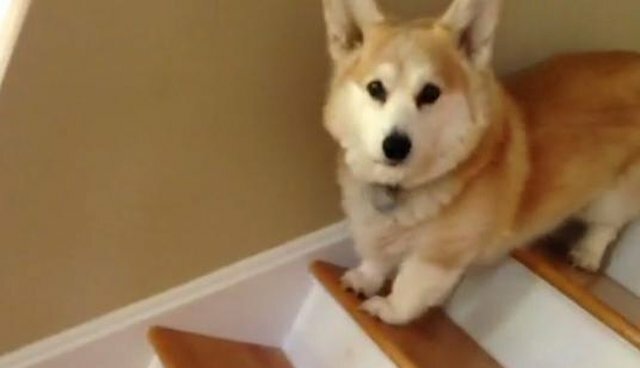 Tucker the corgi has short little legs, so when he goes downstairs he hops his little body down one step at a time. Check out his very special hopping technique. All it takes is a little encouragement from his humans and Tuck can tackle any challenge!